The other day I was reading something and it told me that scientists ignore us because we attack the problem of UFOs from the negative. In other words, we say that there is alien visitation because five percent of the sightings remain unidentified. You simply can’t get to the extraterrestrial from that direction. While I agree with the sentiment, I disagree with the underlying premise. I don’t believe I have ever suggested we must have alien visitors because X-number of sightings remain unexplained. I have always approached this from the positive. There are some sighting events that suggest alien visitation because of the evidence gathered. As one example, let’s look, briefly, at the photographs taken by Paul Trent in May 1950. There are two possible explanations, given the clarity of the photographs and the story told by Trent and his wife. The pictures either show an unknown craft of a type not flown on Earth, or the pictures have been faked. There is no third possibility. This case provides us with two chains of evidence. First is the witness testimony about what they saw. The second is what can be deduced from the photograph. They can be considered independently and they can either support or undermine one another. Is there something that can be observed in the pictures that suggest the witnesses are lying? Some skeptics will say yes. Some UFO investigators will say they are not. As I have mentioned before I also think of the Levelland sightings of November 2, 1957as good, positive evidence. Here we have, at least, three chains of evidence. Of course there is eyewitness testimony from witnesses in thirteen separate locations who were not aware that anyone else had reported the UFO. The second chain is one that his hotly disputed and this is the reports of the UFO affecting the electrical systems of the various vehicles. Somehow, the approach of the UFO, according to the witnesses, caused engines to fail, lights to dim and radios to fill with static. The UFO was interacting with the environment in what is now known as electromagnetic effects. Skeptics will tell you that the Condon Committee attempted to suppress the electrical systems of cars using the most powerful magnets available and they failed... which tells us a number of things. The magnets weren’t powerful enough or those electromagnetic effects are something other than just powerful magnetic fields, and the witnesses, without consultation with one another invented this rather interesting detail in an amazing coincidence. 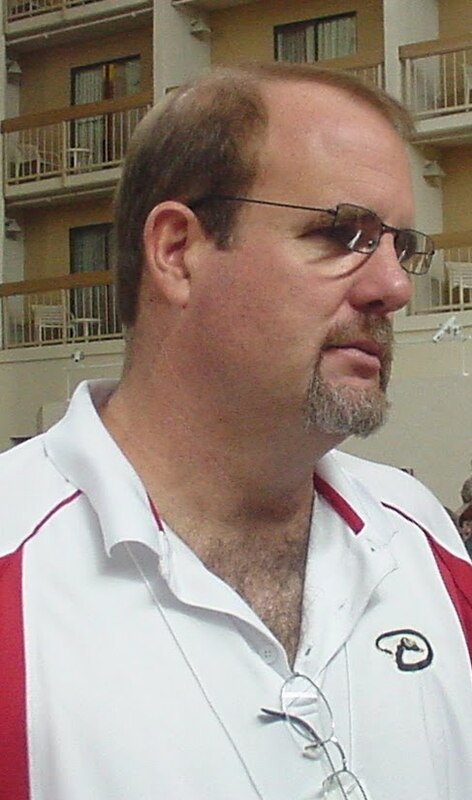 There was the possibility of a third chain of evidence and this is one that Don Burleson discovered some forty-three years after the event. Apparently, there was a landing that left markings on the ground. This was investigated by the sheriff at the time, but he was told not to mention it. Burleson learned about it by talking to the relatives of the sheriff. Of course, forty-three years after the fact is the same as no evidence at all in this specific case. What all this means that an amazing series of sightings, if investigated properly when they happened, might have provided some clues about the nature of UFO sightings. The problem is the agendas of various organizations, the Air Force, NICAP, APRO, the news media, got in the way. Everyone was looking to prove his or her point and the evidence didn’t matter all that much. I could go on. Take the Tremonton film from 1952. A Navy officer filmed some objects in the sky in Utah. Th ere are no foreground details. 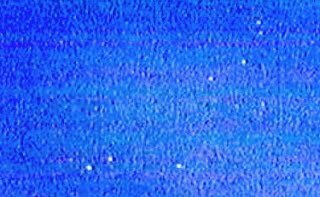 Just the white lights in the sky (frame of the film seen here). The officer, Delbert Newhouse, said that he had seen the objects at closer range and they had a definite shape. The Air Force and others rejected that testimony, writing the case off as birds. But here is an intriguing case in which some of the evidence is ignored because it simply doesn’t fit with the offered solution. And I could point out, as I have before, that Ted Philips has catalogued some 4000 landing trace cases. What would have been the result if the academic community had spent the time attempting to learn something from these landing traces? We would be having a different conversation. Or take the Washington Nationals in which there were observers on the ground, observers in commercial a irliners, fighter pilots (seen here with their aircraft), and the objects watched on radar sets... and at one time, three different sets at three different locations. Multiple witnesses with various levels of training and instrumentality involved in the corroboration. What is one of those on the ground had thought to take pictures, or what if one of those fighters had been equipped with gun cameras? What might we have learned? Another opportunity lost. My point here, however, is that I haven’t argued the reality of UFOs from the negative, meaning that X-number of sightings are unidentified. I argue from the positive. Here is the evidence. Let’s look at it carefully and see where it leads us. The criticism, then, that we somehow, unfairly, reach our conclusions, based on a negative premise, is disproved. Now, let’s see where the positive evidence takes us... something to explore at another time. I had other things on my mind, but I seem to have been drawn into the Trindade Island numbers game. This isn’t about the pictures, but about the people who allegedly saw the object in the sky when the pictures were taken. If the numbers hold up, then this is an important case. If they do not, then it falls from the ranks of the credible and could easily be the hoax that many believe it to be. As I have mentioned before, and as has appeared on this blog before, the sighting took place on January 16, 1958. The photographer, Almiro Barauna, shot six pictures of a "Saturn-shaped" object as it passed over the small island of Trindade, some 600 miles from the Brazilian coast. According to him, there were dozens of witnesses... or maybe I should say, implied by him. He suggested that he lost the opportunity to take additional pictures as he was "pushed and pulled" by the crew and others on the deck, amazed by the sight. Apparently only four of the pictures he did manage to take held the object. Barauna was well known as a professional photographer and had illustrated an article about faking UFO photographs for a magazine at some point. During his career, he had also faked photographs about a treasure. But the Trindade photographs couldn’t be faked because of all the eyewitnesses, or, at least, that was how the thinking went in 1958. There are apparently some technical problems with the pictures, but that is an argument for another time. Here we’re all about the numbers. Over the next few days several Brazilian newspapers carried reports of the photographs, as well as other sightings made during the research that was being conducted at the island as part of an international effort. I suspect that some of the numbers confusion might have arisen here. Anyway, Coral Lorenzen suggested there might have been as many as 150 witnesses. Other sources put the number at something like 40. The question became, how many witnesses were there... or more importantly, how many named witnesses were there? How many gave statements to the press? Going through the files, including that from Project Blue Book, various reports about the pictures, web sites, and other books, I have been able to identify three people other than Barauna who saw the object, or might have seen it. These are Amilar Vieira, Jose Teobaldo Viegas and Homero Ribeiro. But here’s where it all gets tricky. 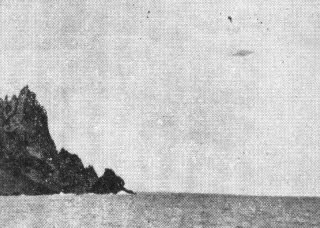 A Brazilian Naval officer, Commander Paulo Moreira da Silva, interviewed in a couple of Brazilian newspapers gave a statement that could be interpreted as him seeing the UFO as it flew over the island when Barauna took his photos. Or, maybe he had seen something similar during one of the other, earlier sightings and assumed it was the same object that he had seen. His statement is confusing but that might simply be the translation of it. What I have seen suggests he saw a Saturn-shaped UFO. I just don’t know if it is the one that Barauna photographed as he photographed it. The ship’s captain, Corvette-Capt Carlos Alberto Ferreira Bacellar, in a report to the higher headquarters, said that another UAO alarm was sounded by members of the crew on the stern and in the bow of the ship. Bacellar didn’t see the object himself, but was on the deck right after the UFO disappeared and mentioned the reaction of the crew which seemed to be consistent with the sighting of a UFO. While none of this gets us to 150 witnesses to this particular object, nor even close to 40, it does change, to a degree, the argument. There might have been additional witnesses available, but no one bothered to find and interview them, at least in the records I can find. Or, for those in the Brazilian Navy, they might have been ordered not to talk about what they saw... though that prohibition would have expired long ago. We have yet to hear from any of them, as far as I can tell. On the other hand, I’ve added a couple of names to the roster, running that total to five. And, as always, there is a complication to this. It seems that the main witnesses, that is Barauna, Vieira, Viegas and Homero Ribeiro were all close friends in 1958. In other words, they weren’t the disinterested third parties we would hope for in such a case. They might have been working together in the creation of the hoax. Again, we have the skeptics suggesting there were only the three but I have indications and names for two others. We have the statement of the ship’s captain that the crew, at separate ends of the ship sounded an alert, and that while he didn’t see the object, he did observe his crew’s reaction. Finally, of course, are the photographs, again thrown into dispute. No, I have not resolved this issue and the additional names might not even be all that important. Those in Brazil might be able to do something about the numbers, through we’re now more than 50 years after the fact. The point here, as it was before, is simply we don’t have all the necessary information. Yes, it is looking grim for the Trindade photos, but we still haven’t eliminated them. That, in a nutshell, is the story. There are, according to some sources, many witnesses to the craft. Skeptics suggest that few others saw anything at all. That is a matter for another time. What brings all this up is that a Brazilian TV network, Fantastico, just broadcast a story that suggests, finally, an answer about authenticity of the pictures has been found. According to Fantastico, "This Sunday (August 15), for the first time Fantastico reveals the truth about the Trindade Island UFO. A friend of the family told wha t she heard from the photographer himself [Almiro Barauna] he had hoaxed the images, it was a montage. ‘He got two kitchen spoons, joined them and improvised a spaceship, using as a background his fridge. He photographed the fridge door with the object in perfect illumination. He laughed a lot about it,’ revealed Emilia Bittencourt. Barauna’s files are in possession of his niece, who didn’t want to record an interview, but confirms the hoax." The idea that the pictures were faked has been around almost from the moment they were taken. Donald Menzel, the Harvard astronomer who never met a UFO case he liked, claimed, at first, that an aircraft, "flying through humid but apparently super-cooled atmosphere," could become so completely enveloped in fog that it could take on the appearance of a Saturn-shaped object. Okay, but I’m not buying this. And apparently Menzel wasn’t either because later, in his book The World of Flying Saucers, he wrote that the case was a hoax. He said that Barauna had faked the pictures with a double exposure. More likely than the fog-shrouded airplane but a statement without a fact to back it up. You can’t just declare something a hoax because you don’t like it and have no other evidence except your opinion that it is a hoax. My first thought on reading this latest revelation from Fantastico was that the explained the case. My second thought was, "Not so fast." Yes, I’m aware of work done by many researchers in their analyses of the pictures and that some have said they found evidence of fraud in the photographs. Some of it is impressive work. But I’m also aware of the claim that there were many witnesses to the object’s flight, and it would mean that a couple of dozen were in on the hoax and never breathed a word about it... until now. But the person making this new claim of hoax is not a relative, or a witness for that matter, but a neighbor and she has no evidence to back up her accusation. There is also a niece, unidentified other than as a niece, who says she has Barauna’s files and she confirms it is a hoax. Here’s the deal... and I’m sure even the skeptics will agree with this. Let’s wait on the final pronouncement until the files surface and prove the hoax. In the last few years, we’ve had several people come forward explaining that their UFO photographs, none quite as famous as these, were faked. I have no problem with the photographer telling me he or she faked the pictures. That seems to be solid evidence. In this case, however, we don’t have the photographer, but a neighbor. And the niece who has the files. Let the documentation from the files be reviewed before we completely close the case. If it is a hoax, so be it, but let’s wait until we have the absolute proof before we label it. That might be coming soon. At the most recent MUFON Symposium, I talked several people about creating multiple chains of evidence for our UFO cases. I based this on the study done in France in 1803 that proved rocks could fall from the sky... rocks we now call meteorites. The French Academy of Sciences had rejected the idea until a French researcher, Jean-Baptiste Biot, put together a study, with multiple chains of evidence, that proved in at least one instance, rocks had fallen from the sky. (As we say in ufology, it only takes one). Which leads to another point. I had been discussing UFOs with a skeptic (Hey! I talk to them... most are reasonable people) and I mentioned, as one series of good sightings, the Levelland events of November 2, 1957. There were many reports of the close approach of the UFO interacting with the environment, meaning that it stalled car engines, dimmed headlights, and filled radios with static. My skeptical friend said something like, "Oh yeah. The Condon Committee investigated that but even with the most powerful magnets available could not duplicate the alleged effects." To him that meant the case had no merit because the electromagnetic effects (EM) claimed by the witnesses could not be replicated in the laboratory. But as I thought about this, I realized it could be taken another way. If the witness statements were accurate, then the UFO was displaying a technological capability that was beyond our science and could therefore be seen as proof that some UFOs were superior technological craft and were of alien manufacture. In other words, we had a second chain of evidence, the first being the eyewitness testimony. See, in the French case, the eyewitnesses, who described the rocks falling from the sky and the resulting sound effects and smoke trail were counted as reliable. No one then thought to reject the eyewitnesses simply because they had only seen the rocks in the sky. Their testimony was collected, regardless of social station. None was rejected because he was merely an uneducated farmer, or because she was only a farm wife, or they were only children or because they might have talked to one another about the fall. All testimonies were carefully recorded so that a complete record could be made. In Levelland, and contrary to what the Project Blue Book files allege, there were witnesses in at least thirteen separate locations who reported the EM effects without the time necessary for the news media or the local grapevines to pass that nugget. Although you could argue that one or two of the witnesses who surfaced the next day might have heard or read something about the sighting prior to making a statement, the majority of them told their tales without knowing there were other witnesses in other areas who had seen, heard, and experienced the same things they had. Now, today, it is impossible for us to make any sort of meaningful measurements to corroborate, or disprove, this bit of observation. That so many made it, in such a restricted time frame, it seems reasonable to conclude that most, if not all, such reports were made without contamination. These EM effects are not reported in most of the UFO sightings, so we have something here that might provide a clue about the nature of some of the UFO reports. The third chain of evidence is one reported by Don Burleson, based on his reinvestigation some forty years after the fact. Burleson said that he had talked to the daughter of the sheriff, Weir Clem, and Clem had been called out to a ranch north of Levelland where there were markings on the ground. In other words, a "footprint" of the UFO. Had this bit of evidence surfaced in 1957, meaningful measurements might have been made. Coupled with the work of Ted Philips, who has cataloged some 4000 landing trace cases, we might have had the UFO sighting that would have moved UFOs from myth to accepted fact, just as the French study moved thunderbolts (rocks from the sky) into the realm of science. But here is the problem... The French were interested in the truth, and in 1957, the Air Force was interested in explaining all UFO sightings in the mundane. It mattered not what the facts were. If they could generate an answer that stopped the interest in the case, they were happy. They had fulfilled their mission. Yes, the Project Blue Book files prove this. On a Joint Messageform prepared by Captain G. T. Gregory and dated November 3, 1957, in PART III, paragraph a., it says, "Contrary to Keyhoe’s and Washington Press reports only three, not nine persons witnessed the incident." 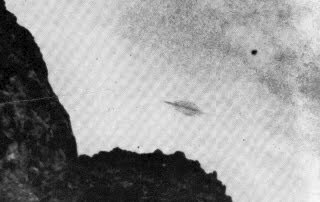 Later, in his book, The World of Flying Saucers (and found in the Levelland papers and reports in the Project Blue Book files), Donald Menzel would write, "Three persons, not ‘dozens,’ had seen the phenomenon near the ground. Some ten or fifteen others (including the sheriff) had not observed it at close quarters but had merely seen brilliant flashes of light in the sky." Neither the Air Force statement nor Menzel’s words reflect the reality of the situation. There were people at thirteen, widely separated locations who were close enough to the craft to report EM effects. And, there were more than fifteen people who saw the object at a distance but none of them described the UFO as a flash of light in the sky. The other evidence of this is that the Air Force explained the sighting as "ball lightning." In 1957, you could get any number of scientists to argue that there was no such thing as ball lightning. In other words, the Air Force was attempting to explain one phenomenon with another that had yet to be proved. And they forgot to mention that ball lightning was short–lived and rarely larger than eight inches in diameter. The real point here, however, is that this case, the Levelland sightings, had they been treated with any sort of scientific curiosity at the time, would have yielded a report with multiple chains of evidence. We would have been able to develop some very interesting evidence, if the government in the form of the Air Force and the scientific community in the guise of Donald Menzel hadn’t been more interested in proving themselves right than they were in gathering the information. In other words, we would have had those multiple chains of evidence that would independently lead us toward the extraterrestrial. Instead, we have another controversial case that has been compromised by those who know that there can be no aliens visiting Earth. So, as many of you know, I was at the MUFON UFO Symposium in Denver recently and have to admit I had a good time. Most of those attending were serious researchers, investigators, writers, and interested parties who wished solid answers based on evidence rather than wild speculations based on imagination. I was disappointed when one retired military officer seemed to be an exception to this rule. He seemed to embrace everything without worrying about evidence, but he was in a very small minority. The programing was exquisite. The first was Richard Dolan who talked about what would happen after the government disclosed UFOs were extraterrestrial craft. He preached gloom and doom and I tend to be more optimistic about it. Dolan, however, made a good case for the changes faced by society, especially if the disclosure came at a time when the alien craft were landing. I know that no technologically inferior society has ever survived contact with a superior technology. Even the introduction of the horse to the plains radically alter the Indian way of life. I looked forward to the presentation by Linda Moulton Howe because it dealt with the Bentwaters UFO landing and she had brought John Burroughs (seen here) with her. 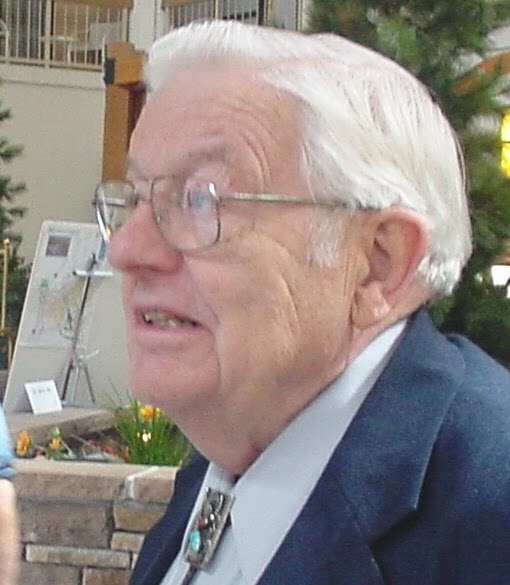 I had met him years ago while I was in Phoenix at a UFO conference. We traveled together to do a early morning radio talk show and I gained some insight into the case. Howe has spent a great deal of time investigating this case and she presented some very interesting points, including one that seemed to remove a skeptical explanation from the mix... though I suspect few believed that the airman and officers were fooled by the spinning of a lighthouse beam that had always been there. I also enjoyed the talk by Marc D’Antonio but only because he lets his personality loose while on the stage. His presentation was interesting as well as informative. Stan Friedman was, well, Stan Friedman. Say what you will about him, he’s very good on the stage and he presents his information in a very entertaining way. He’s been at it for decades and the polish shows. John Gree newald had the hosting duties again and was as brilliant as ever. He takes the job seriously and tries to provide each speaker with a build up that will impress the audience. He’s a fine and entertaining speaker in his own right. I had a chance, brief though it was, to talk with Nick Redfern (seen here), who is going to review my latest book. I couldn’t help but ask what he thought and was pleased to learn that he had enjoyed it... which, of course, doesn’t mean that he won’t have some criticism about it (and provides me an opportunity to another plug of Crash: When UFOs Fall from the Sky). And I sat next to Frank Salisbury (seen here) in the vendor area, who was there with a couple of his books, including an interesting update on his The Utah UFO Display: A Scientist’s Report. 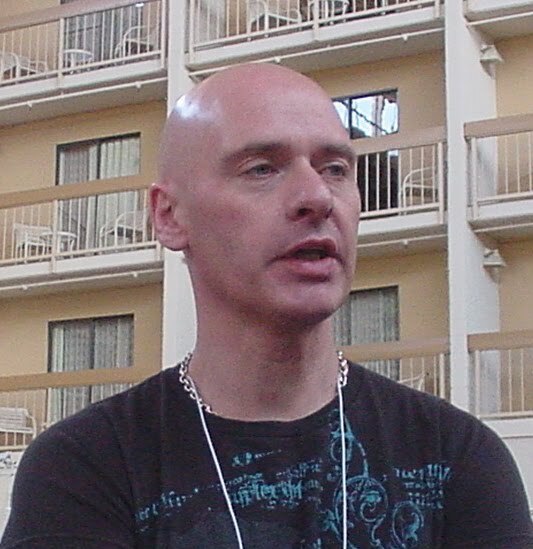 I had first run into him many years ago at a UFO convention sponsored by APRO. He had this book with him then. I didn’t know that in the new, updated version, I would actually find my own name, but there it was, in a short discussion on the Roswell UFO case in the introduction. I didn’t know what a funny guy he was either. We had a couple of nice chats about UFOs, computers, and stealing customers from one another... He would often point them toward me, and if I couldn’t sell something to someone, I’d point them back to Frank. One thing I did notice was a preponderance of geezers, which, for a moment troubled me but then I had an epiphany. The problem wasn’t that the youngsters weren’t interested in UFOs, or that they didn’t care what we geezers had to say, but that they probably couldn’t afford the time or money to attend the symposium. In this shaky economy, the youngsters, just starting out, might not have had the disposable income for a rather expensive weekend in Denver, not to mention children at home and a work schedule that might intrude. Which is not to say that there weren’t many younger people there. There certainly were and they were just as excited about the symposium as were we geezers. If I had a complaint, it was only that the WiFi connections in the common areas, the lobby, the vendor area (seen here), the restaurants, was not as reliable as it could have been. Of course, it seemed that every time I managed to logon, someone would appear to ask a question or two. Before I could get back to the computer, the connection was lost. Next year they have decided that the symposium will be held in Orange County, California. I’m sure it will be a fine venue and I’m sure they’ll have no trouble transferring the expertise from Denver to Orange County. It might be good to move the symposium around, as they have done in the past, but frankly, I’ll miss Denver. I grew up there and I like the chance to get back into the old stomping grounds again.